Should kids be paid for doing chores? How do you decide what deserves pay and how much they earn? Find out why we have paid and unpaid chores in our home and how we set up our system. It's a topic that is debated quite frequently around the mom and family blogosphere. Some people are in the camp that doing chores and household tasks is part of being in the family and therefore don't require compensation. Others believe school is a child's "job" and household chores count as extra work. Then there are beliefs all over in between with every type of combination you could imagine. We fall pretty much smack dab in the middle. Yes, school is our children's primary job. Just as working outside the home is my husband's job and being at home with the kids is my job (with a side dollop of blogging). But there are still jobs that we all need to do in order to keep the home running effectively. It's that whole "manage the chaos or it will manage you" mindset we have. We fully expect our kids to help out around the house. We try to teach them simple tasks from a young age that they are totally capable of handling. Picking up toys can be a great game and even a learning opportunity (Can you pick up all the blue blocks?) with the right frame of mind. Most of these simple tasks fall into the unpaid category. Everyone is responsible for clearing their own space at the table. Plates, bowls, utensils, and anything else used gets put in the sink and once they are a little older and able to reach, get rinsed and put into the dishwasher. If the dishwasher is full or not empty of clean dishes they need to rinse their dishes and set them on the counter. The big boys know how to put their laundry away in the appropriate drawers. Does it always look tidy? Nope. But they are learning to put it away which is something I still fail on frequently. I'm determined to teach them better. Mercedes knows how to put away the clothes in her drawers but needs help with clothes that get hung up. The little boys help put away their cloth diapers, underwear, and socks. We put away their other clothing for now. Cleaning up the toys in the living room is expected every day before bed. It's part of our routine that immediately after dinner the toys get cleaned up. If they get it done quickly enough they may earn extra outside time, books, or workout time. On days when they are lagging I will set a timer to make sure it gets done in a quicker fashion. Saturday mornings are for room cleaning. The big kids are allowed to get out of bed at 630am (they usually wake up around 6, sometimes earlier, because they are crazy) and start working. If they get done before 8am they can have a small bowl of dry cereal to hold them over until our late-ish breakfast. Any later than 8am means they have to wait for breakfast to eat. They are responsible for picking up all their toys, finding any hidden dirty clothes, stripping their bedding, and throwing away garbage. Some weeks they are super quick, other weeks it's like pulling teeth. The boys are very slowly catching on that putting away items as they go during the week means less clean up on Saturday but we'll see if that ever fully clicks. Occasionally we'll ask them to do a chore like stack the cloth diapers that doesn't earn any money. It's not a typical chore but it's simple enough that there is no reason to compensate them. Want more encouragement for loving your everyday chaos? Join the newsletter! You have successfully joined our subscriber list. Check your inbox for your free printables! Paid chores come in two different categories: Weekly Chore and Extra Chores. We only started the weekly chores this summer and are still in a bit of a learning period but so far they are working great for the older kids. The little boys, at not yet three years old, don't really get it and definitely can't do these things on their own. But that doesn't mean I can't teach them the basics so when it comes time for them to do it on their own they have the skills needed. We've decided on paying a base fee allowance ($2/week) for weekly chores as long as the jobs are done with willing attitudes. We understand chores aren't fun - I know I don't enjoy sweeping the floor over and over or having to wash the dishes once again - but not enjoying a chore and having an icky attitude are two separate things and we are working hard to help our kids understand that. Weekly chores are areas of the house that need attention on a daily basis. We are rotating the kids through each of the areas so they all get a chance to learn and complete the chores. Our plan is to continue this through the school year but the boys will only be doing their chores in the evening hours. Dishes - All loading and unloading of dishes plus needed hand washing. Extra paid chores are just that - extra chores that we will pay for because they take extra effort and benefit the whole family, not just the individual person like putting away laundry or cleaning bedrooms. 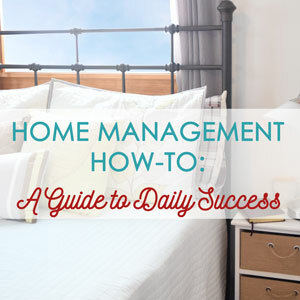 These tend to be chores that only need to happen once or twice a week, sometimes even less. Taking out Garbage - Thursday is garbage day so every Wednesday after school they go around the house to gather the cans, bring them to the large bin, replace bags, then return the cans. Bathrooms - Because this is a more involved chore (and gets gross sometimes) we pay $0.50 per bathroom. Tasks for the bathroom are wiping down the sink and cupboards - how does toothpaste get everywhere?! - scrubbing the toilet, wiping down the outside of the toilet, and sweeping the floor. Pick up dog poop - This is another one we pay $0.50 for them to take on. They wear plastic bags on their hands and deposit all their findings into a paper bag. And I don't have to do it. Eventually this will be part of the pets category but not until the littler kids are older. Scrub walls - This is probably the easiest of all the paid tasks. Our stairwells get super grimy with so many little fingers but they come clean really easily too. Most of the time they can use a wet rag and it all comes off. The weeks when toothpaste becomes a new decoration means a little more scrubbing. We have chalkboard contact paper on our front hall closet where I keep track of the chores and earnings. On one side the rotating weekly chores are listed with the assigned kid and the other side is for money. We used to try and pay them as jobs were completed but we ran out of quarters super fast. And mom brain does not allow me to keep track in my head. Nope, never going to happen. Using the chalkboard allows me to quickly change the totals and keeps it visible for the kids to know what they've earned. We pay out at $10 and each child then needs to set aside $1 (10%) for tithe and $1 (10%) for savings. The remaining $8 is theirs to spend or save. For savings they simply hand the $1 back to us and then we transfer funds to their savings account. This is the only way we can make sure they are actually saving something and not putting the money aside only to get spent later. How do you handle chores and other responsibilities in your family?